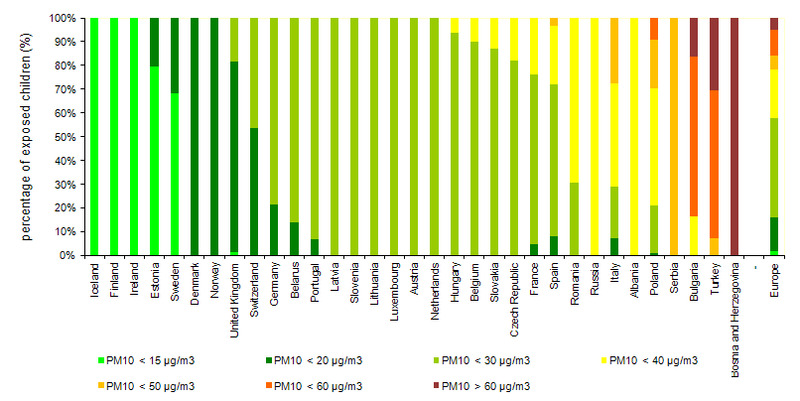 Slovenia belongs in the group of EU countries, which are more polluted with PM10. The average annual concentration of PM10 is exceeding the limit value recommended by the World Health Organization for human health (20 mg PMC10/m3). Very young children, including unborn babies and elderly are particularly sensitive to air pollutants. Analyses show that in Slovenia 2/5 of children are exposed to negative consequences because of the elevated PM10 concentrations. 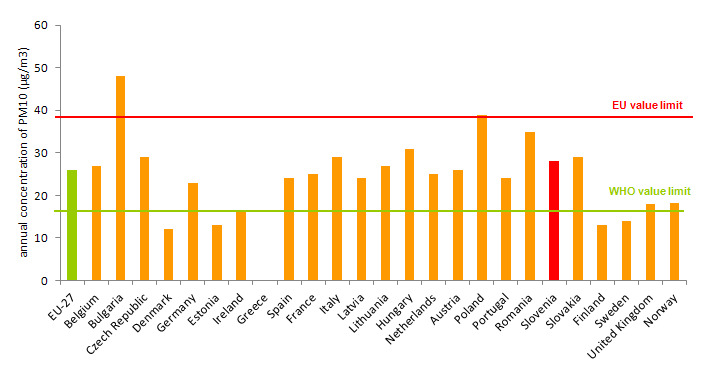 Most children in European cities where PM10 is monitored are exposed PM10 levels that do not exceed 30 micro g/m3, but in Slovenia 40 % of children are exposed to concentrations between 30-40 µg /m3. 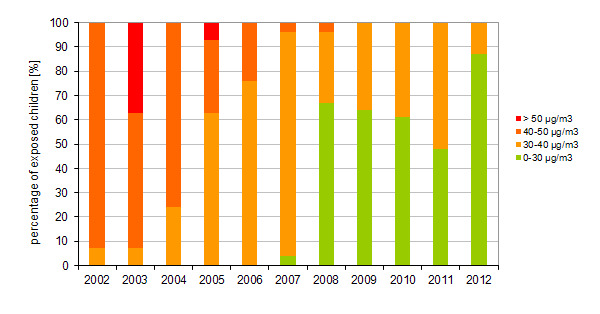 Recent data suggest that in Slovenia, 15 % of hospitalized children are due to respiratory diseases.